The pop-up bar in New Farm Brisbane was cosy yet sure packed a punch, practically a walk-in art installation. 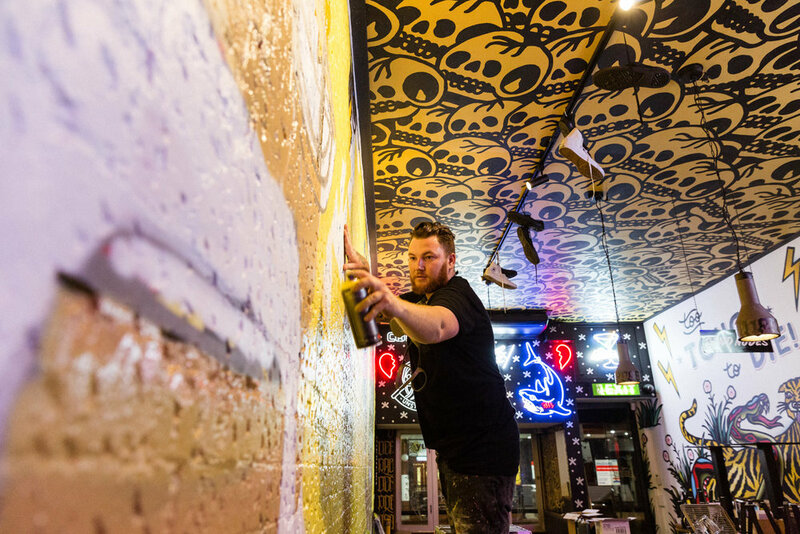 We called on the revered Australian artist Le Grizz to paint an unyielding mural artwork that covered the entire back wall. True to his playful style, Le Grizz did not disappoint in bringing light and laughter to the entire space whilst still managing to ooze contemporary art. The artwork evolved during a series of creative activations developed by our experimental marketing team at Authority Studios, head over to the website to have a look at our multi-layered approach.